A whisper-quiet machine worth shouting about. 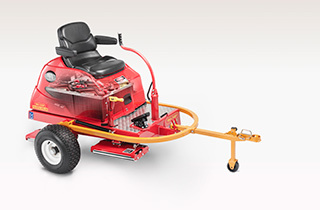 This 48Volt electric power house can roll up to 25 plus greens quickly and quietly on a single charge. 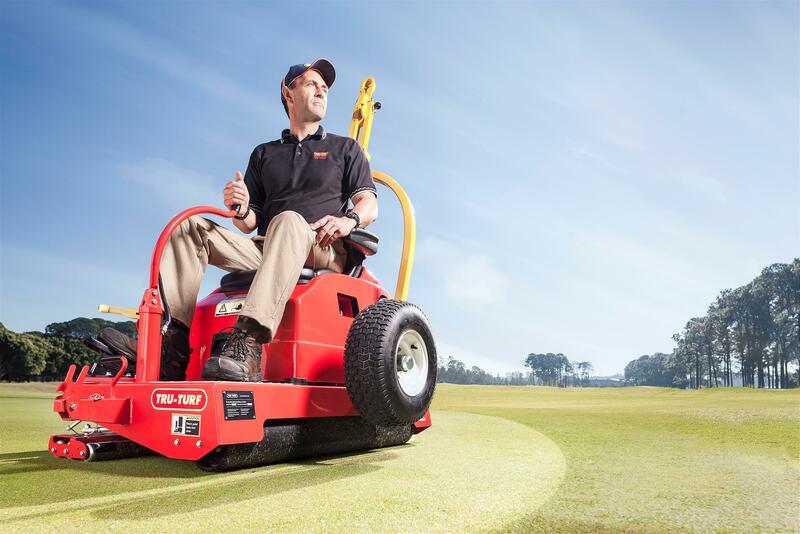 The Tru-Turf electric roller has been called a tour-de-force of innovation and efficiency. 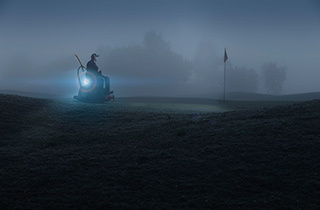 No other machine delivers its unique combination of performance and quietness. Greens preparation after hours or in areas where there are stringent noise restrictions? Effortless. Operation while adjacent holes are in use? Easy. Yet despite this roller’s ability to fly under the radar, it packs a punch. It is known to have the ability to roll up to 36 greens on a single charge. 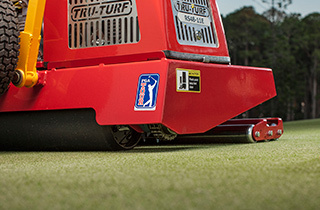 Going electric means little compromise when it’s a Tru-Turf machine. 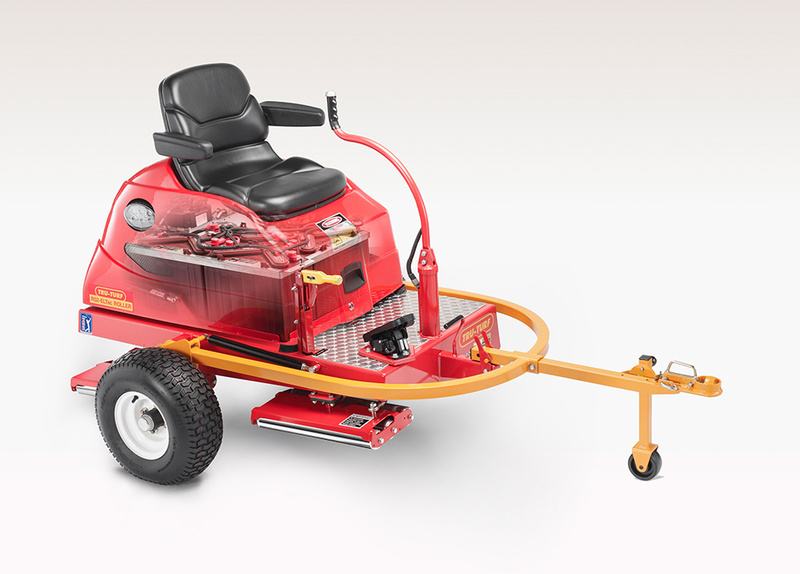 There’s ample power and traction to deliver the speed and impeccable crease-free results that our petrol-powered machines do. 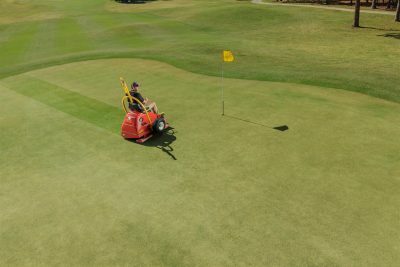 Like all our rollers, this machine has an extremely low centre of gravity for exceptional stability and operator safety even on inclines, and is well balanced for an evenly rolled turf surface. Handling and transport is just as simple. With its buit-in trailer system – featuring heavy duty axles and trailer arms – the machine is easily converted from transport mode to operational mode, by hand, in seconds. 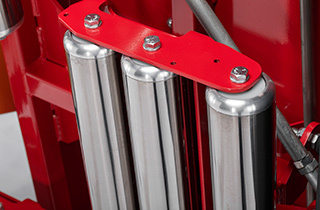 With state of the art reliable electronics, it has the ability to reduce operator error when starting and stopping. How good is that? All our electric machines are fitted with independently sprung tri-roller smoothing heads featuring heavy-duty stainless steel rollers. These are double sealed and fitted with quality ball bearings for longer life. Driver Roller Rubber coated, non stick. Flexible, contour following.